Not very long ago, the question of what to eat at Progressive Field wasn’t hard to answer. You had a lot of choices for what to eat, like Cleats wings or loaded burgers, but the Indians hadn’t brought in a lot of local icons the way the Phillies or Nationals have. That has completely changed; today the Prog has an entire taste of the city of Cleveland in the ballpark. In the opinion of this traveling fan, Progressive Field is now one of the top destinations for ballpark food. Even when it comes to the weird stuff! On a hot dog? Sure, why not? What To Eat At Progressive Field, Tip #1: The Slider Dog. The whole concept of the Slider Dog is so insane that you’ve got to try it. It’s a quarter pound dog with mac and cheese and bacon…okay, so far not anything totally unusual…and then topped with Froot Loops. 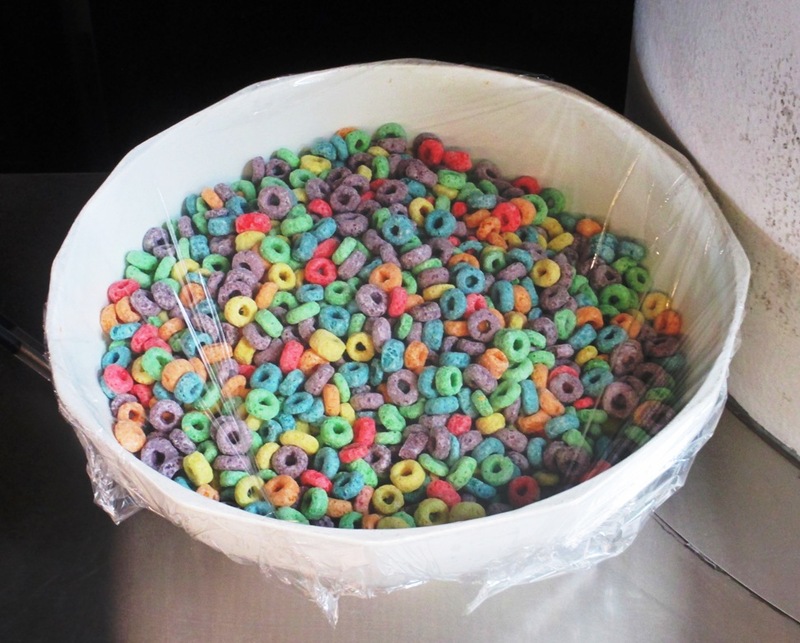 Yes, Froot Loops. Yes, someone at Happy Dog thought the classic sugary cereal would make a great hot dog topping. But the Happy Dog people that added their grub to the Prog in 2016 are known for this…at their Gordon Square location, they have over 50 toppings for the classic American food…including Spaghettios (! ), peanut butter, and Caribbean cole slaw. The Slider Dog is at the Happy Dog stand on the third base side. The beer there is pretty good too. What To Eat At Progressive Field, Tip #2: The Fat Italian. If you’re hungry, Fat Head’s is a good choice for their “Headwiches”…sandwiches the size of your head. The Fat Italian has every pork product you need in an Italian delicacy…ham, salami, capicola, pepperoni and hot sausage, topped with provolone, banana peppers, and a hard boiled egg for that late night breakfast feel. Come to think of it, that sounds like a great breakfast sandwich…great for those early arrival folks that missed out on Sunday brunch to go to an Indians game. Fat Head’s is a brewery and sandwich shop located in North Olmstead; they have a great selection of summer seasonal beers at their stand on the third base side. Nothing like a big sandwich with a craft beer. Note the complete absence of brown-ness on the guacamole! 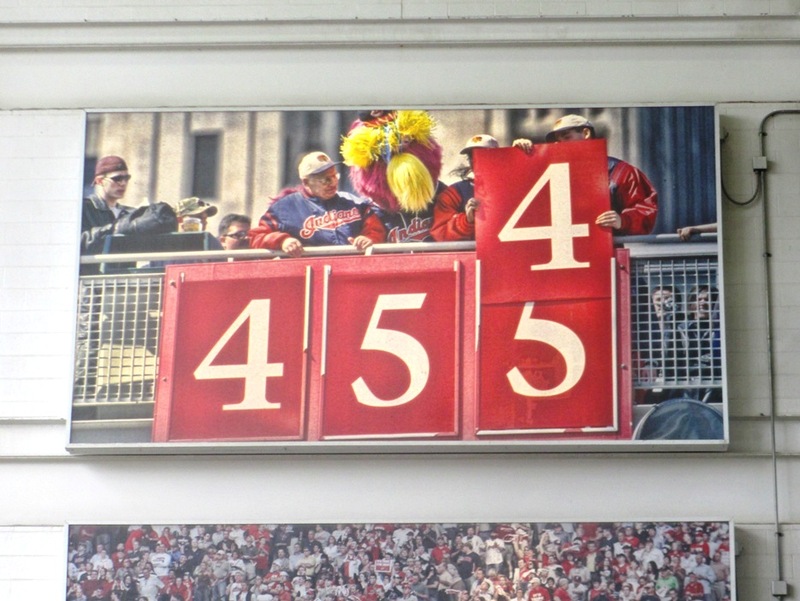 What To Eat At Progressive Field, Tip #3: The Ohio City Chicken Burrito. I recently read a quote from a blogger that the burrito is the perfect ballpark food; you can eat it on the fly and carry it in your non-beer holding hand. The skies parted for me when I read that. Ohio City Burrito, as the name strongly implies, is a burrito joint in the Ohio City section of Cleveland. They take great pride in their burrito-rolling technique…which is no small feat to master. 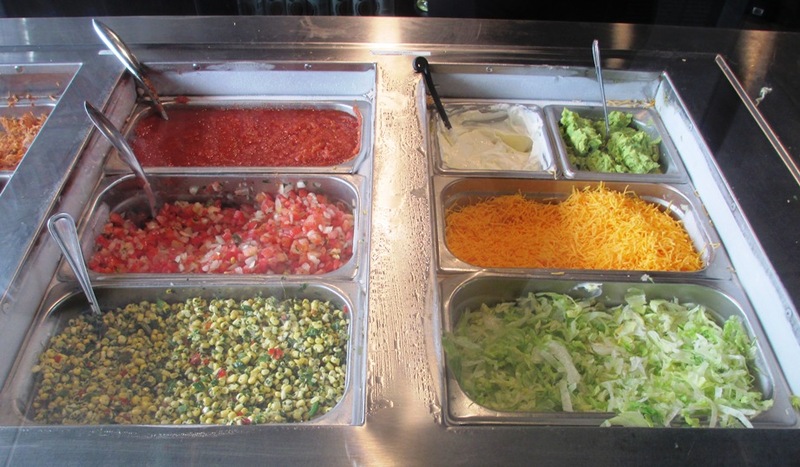 At the Prog your burrito includes chicken with rice, black beans, onions, peppers, cheese, lettuce, and a choice of homemade salsa, sour cream or guacamole. Ohio City Burrito is also on the third base side. Just hang out there if you’re hungry and you’ve tried everything in right field. That’s three more selections of food at Progressive Field; I haven’t even mentioned the cool new stuff like the Sweet Moses sodas, the spaghetti and meatball pizza from Dante’s Inferno, or the Wisconsin brat burger at the Brew Kettle. But there’s plenty to choose from…stay tuned, I’ll write more!